When it’s time to replace your roof, research your options to find the best materials for the style of your house and your budget. Each type of roofing material has advantages and disadvantages. When deciding what would work best for you, weigh the pros and cons of roofing materials for your home. 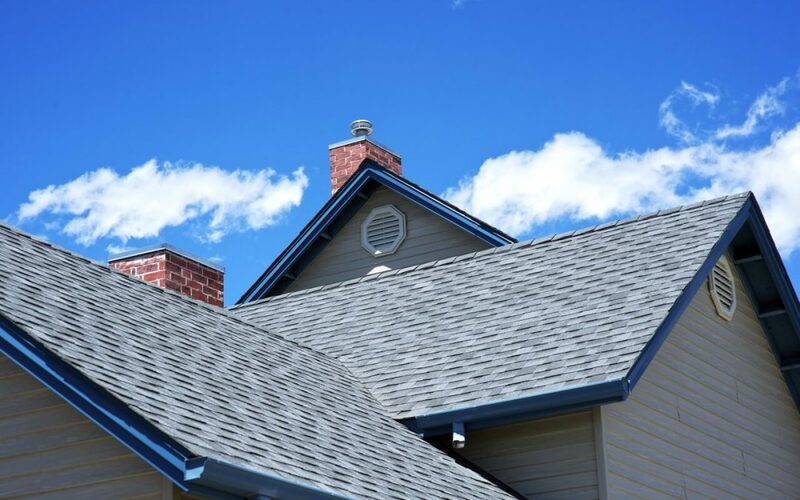 Asphalt shingles are the most popular choice among homeowners. Asphalt shingles come in a variety of colors and are the least expensive option, which is a major advantage. However, asphalt shingles do not last as long as some of the other roofing materials for your home. Typically, they can last for 20-30 years, which is about half the lifespan of some other roofing options. The longevity of metal roofing is one of its appealing aspects. Depending on the type of metal used, metal roofing can last between 40-70 years. Some types of metal roofing are as affordable as asphalt shingles per square foot, but the higher-end options are more expensive. Metal roofing is easy to maintain and fire-resistant. One disadvantage is that some homeowners find the noise levels excessive with rain, sleet, or hail falling on a metal roof. Wood shingle or shake roofs have been touted for their ability to keep the home cool in summer and warm in winter. Wood shakes and shingles hold up well in severe storms and are less likely to come off during strong winds than asphalt shingles. Wood is more costly than other options on the market with an expected lifespan of around 30 years. While that is a comparable lifespan to asphalt shingles, wood shingle or shake roofs are more expensive. For the extra money, you’ll get a more aesthetically pleasing roof that is more durable than asphalt. With an anticipated lifespan of 50-125 years, slate is one of the roofing materials for your home that lasts the longest. It is fire resistant and makes for a natural and beautiful addition to the home. One of the big disadvantages is the cost when compared to other roofing materials for your home. Slate is relatively fragile and finding replacement tiles to match can be difficult. Because of the weight, slate roofing is also more difficult and costly to install. The structure of the home may need to be reinforced when adding a slate roof. Esham Inspections serves Maryland with home inspection services, including aerial drone roof inspections. Contact us to request an inspection.